Shanghai Disneyland Review: Is this the Best Disneyland Park? As I wrote about earlier this year, 2016 is the #YearOfDisney for me. 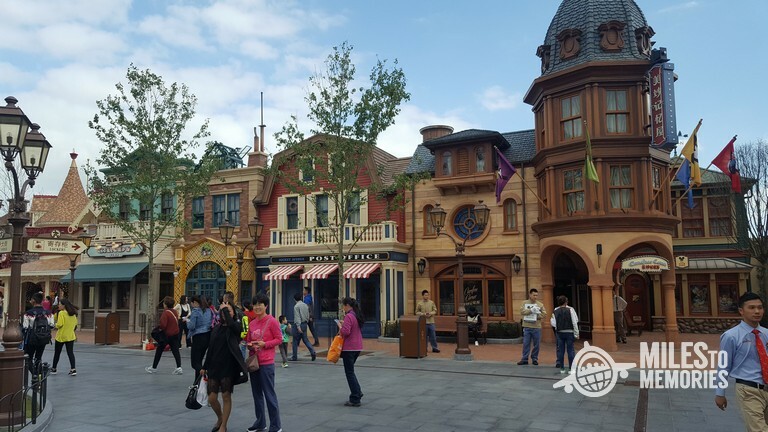 Following early year visits to Disneyland Paris and Walt Disney World, I recently visited Hong Kong Disneyland and the brand new Shanghai Disneyland as well. I’ll hopefully finish off the year with visits to Tokyo and Anaheim to complete visits to all resorts this calendar year. Shanghai Disneyland is the newest Disney Resort having opened this past Summer. It consists of two hotels, a shopping area called Disneytown and Shanghai Disneyland park. When designing this park, Disney decided to make it different than other “Magic Kingdoms” around the world by utilizing the mantra “Authentically Disney and Distinctly Chinese”. They succeeded on every level. I have now been to every Disney park in the world multiple times (with the exception of my lone visit to Shanghai) and can without a doubt say that Shanghai Disneyland is the prettiest Disneyland style park and perhaps the grandest as well. Instead of talking too much about it, I thought I would take you on a detailed tour. Due to the number of photos, I’ll break up this review into a couple of posts. Enjoy! For reference, here is a map of Shanghai Disneyland. In Shanghai Disneyland, the Main Street Area has been replaced by Mickey Avenue. This area is much shorter than traditional Main Streets, but has many of the same shops/eateries that you would expect. Instead of being themed to small town Americana, Mickey Avenue has shops named/themed after various Disney cartoon characters. This isn’t a cheaply done “Toon Town” ripoff though, it feels very high quality and somewhat adult. Before reaching Mickey Avenue, you enter the park under the faux train station. There is no train at Shanghai Disneyland, but this entrance makes the visuals seem familiar. After going under the station and passing the familiar attraction posters though, you’ll immediately know that you aren’t in Anaheim, Orlando, Tokyo, Paris or Hong Kong. Let’s take a look! Looks familiar, but somewhat different. The view of the Castle from the bottom of Mickey Avenue. Looking towards the park entrance/exit. As I mentioned, the Mickey Avenue area is perhaps half as long as Main Street USA, but it packs in a lot of quality and theming into the smaller space. It also spills out into the “hub” area more than Main Street leaving plenty of options for shopping and dining. At Shanghai Disneyland the traditional hub has been redesigned into the stunning Gardens of Imagination. At 15 acres, this area seems to be the biggest hub of any Disneyland Park and it is definitely the prettiest. In addition to the sprawling gardens, the area is home to the park’s carousel and Dumbo ride along with a Marvel meet and greet. The area in front of Shanghai Disneyland’s Castle. The castle is off to the right (unseen in this photo) and you can see the gardens with Mickey Avenue in the distance. As you can see from the photo above, the small moat in front of the Castle holds water fountains. These fountains are used in combination with Castle projections, music, lights and fireworks to make the park’s night time show. Sort of a combination of World of Color and your traditional Disney fireworks show. Like the rest of the park, Gardens of Imagination is simply STUNNING at night. Shanghai Disneyland’s Tomorrowland is anything but traditional Disney. To start, instead of the familiar right turn at the hub, in Shanghai you turn left. The changes don’t stop there though. There is no Space Mountain in Shanghai. It has been replaced by the absolutely stunning TRON Lightcycle Power Run roller coaster. Other attractions in this area include a nicely updated Buzz Lightyear shooting ride (much better than the other versions), a stage that turns into a rocking disco at night and Star Wars Launch Bay which is home to character meet and greets and Star Wars props. The park’s Jet Packs rocket ride has yet to open, but it welcomes visitors to Tomorrowland and should be a nice addition once up and running. Buzz Lightyear is high tech and full of fun. The meet and greets inside Star Wars launch bay were fun. They also had Darth Vader, R2-D2 and more. It was great and is somewhat hidden so the crowds didn’t find it. Star Wars Launch Bay. A somewhat “temporary” addition to the park it seems. Shanghai Disneyland was built to be visited at night. The entire park is simply gorgeous when the sun goes down, but Tomorrowland is by far the best example of this. Not only does TRON become a completely different (and improved experience) at night, the entire land is lit up in gorgeous hues of blues, greens, red and purples. Watching the coaster’s lightcycle cars speed by creates an amazing sense of atmosphere. A whole new world at night. As the sun goes down, the lights come on and the music starts on stage. TRON itself is an amazing attraction. The queue is modern and uses the TRON styling that we all know from the movies. Additionally, the preshow is quite fantastic as well. Shortly after entering the building, you find yourself in an enclosed room with video walls. Before long, a brief show starts on the wall before the image goes away and reveals what is on the other side. It is the coaster launching! My video is at the end. It is so much better in person though. The park even has a sit down experience for guests who can’t do the motorbike cars. The sit down experience isn’t quite as good, but it is a nice option. TRON is about as Disney as you get when it comes to theming and ride experience. They took a fairly basic coaster and turned it into a world class ride. No exaggeration. I don’t want to spoil anything, but the ride is gorgeous and the cars themselves are as much a part of it as any set piece. In this first part I have barely scratched the surface of what this park has to offer. Tomorrow I will take you through Fantasyland including more gardens and the amazing castle walkthrough, we’ll journey into Pirates of the Caribbean, a ride that is the best of its kind in the world and go to Adventure Isle for a few Disneyland firsts including a ropes course and rapids ride. This park isn’t perfect though, so I’ll show you some concerns I have as well and next week I’ll have full reviews of both on-site hotels, the Shanghai Disneyland Hotel and the Toy Story Hotel. Enjoy the photos and please share your thoughts about this park or Disney in general in the comments! Previous articleGet a $500 Sign-Up Bonus on a No Annual Fee Amex Card: Good Offer But High Spend! I went two days. The first day had peak pricing and was actually quite slow. The second day was normal pricing and thus much busier. A lot of school groups. Still the park is huge so it absorbs crowds well. I love your photos! The last time I went to a Disney park was back when I was a kid in 2000 —- but I do hope to go back someday perhaps when I have kids. Anyway, I recall reading someplace how dirty Shanghai Disneyland was mainly due to the other people there (people would throw trash on the sidewalk or road rather than putting it in a garbage bin) but from your photos, the park looks pristine! I kind of wish Disney had Mulan’s castle there in Shanghai. I haven’t done research but are there any rides that are specific to Shanghai Disneyland and not present in any other Disney theme park? The park is beautiful and everyone was very well behaved when we were there. There is one issue at the park which I’ll cover tomorrow, but it was as my photos show. Beautiful. Amazing post, Shawn. Kudos. Thanks for being our man on the ground. Also saw you were very highly ranked in the USA Today poll. Well-deserved. Thanks for the review Shawn. Is the Tron sit down seat on every car? Is there a separate line for this? How secure were the motorcycles? I’m afraid someone that is either too thin might slip through or someone that doesn’t fit the dimensions and is larger won’t fit and the seat won’t be secure enough. Are there seat belts of any sort or is the black part that goes on your back the only security feature? Also, were the instructions prior to the ride in English? I used to love roller coasters, but this one has me slightly apprehensive. Thanks! It is hard to explain, but your knees go into the car and the black part that goes on your back keeps you very secure. Only 1 or 2 trains have the sit down on the very last row. You have to ask when you get to the front. There wasn’t a long wait for this when I was there, but the ride is definitely better as its intended. There are instructions in English and Chinese. Many of the cast members speak English and it is a very secure system. No seatbelts. One more question, does the Tron ride shoot you out like Aerosmith or is it a gradual progression? It is a launch like Aerosmith. WOW! I’m not a Disney fan, but it looks spectacular enough to want to make me want to go there. Just spent 3 days at the park last week. The whole park is different from any other in the Disney franchise. Tomorrowland will blow you away not only with it’s lighting, but has it’s own “soundtrack” which sets the mood when you enter and walk around. Tron is definitely a one of a kind experience. Good times, good times! Great post. We’ve not visited yet, but you’re right – it looks like that place really shines (literally) at night. TRON in particular looks amazing. Can’t wait to get on that one for sure! Great photos – thanks for sharing! Great post! It makes me want to be back in Shanghai Disneyland. I too have been to every Disney park in the world, and I agree with you that Shanghai Disneyland is exceptional and so unique! I always forget that Mickey Avenue is much shorter than Main Street in other parks. It is so immersive that I get lost in it. Tomorrowland is my favourite land in Shanghai Disneyland. I love that it is so different than every other Tomorrowland. It is so modern and well imagined. The Buzz ride is so much easier! It is the only version of the attraction that I’m good at and enjoy. And Tron! I was blown away the first time I rode it. It is so much fun! I wish it were a bit longer though. I also love that it has a single-rider queue because I’m always alone when I visit Shanghai Disneyland. It is such a great way for me to save some time and avoid a long queue.